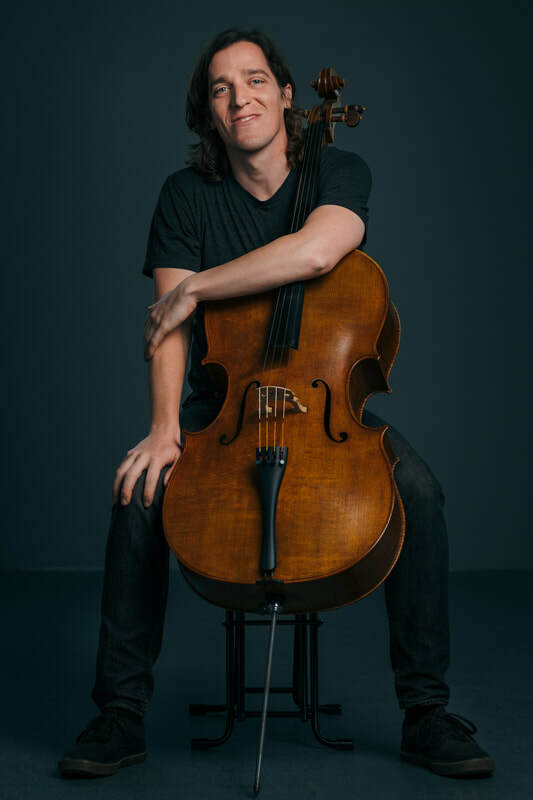 A native of the Boston area, cellist Mark Bridges received the bachelor's degree from Boston University, where he studied with David Soyer and Leslie Parnas. As a chamber musician he has performed with members of the Borodin, Muir, and Pro Arte String Quartets, attended the Juilliard String Quartet Seminar and the Banff Centre Chamber Music Residency, performed at the Token Creek Festival and has appeared several times on the CBC and WPR for “Sunday Afternoon Live from the Chazen.” He is a core member of Madison’s Willy Street Chamber Players. Mark holds a masters degree from the Eastman School of Music, where he studied with Steven Doane, and earned an Orchestral Studies Diploma during which he was a section cellist with the Rochester Philharmonic Orchestra. He has been a section cellist with the Madison Symphony since 2016 and in September of 2018 he was appointed Assistant Principal Cello. Mark is the recipient of the Daniel Gregg Myers, Dorothea Schmidt nee Boller awards and the Bernard Milofsky travel award from the University of Wisconsin, where he studied with Uri Vardi. A former adjunct cello teacher at the University of Wisconsin-Platteville, he teaches privately in Madison and coaches chamber music at the Wisconsin Youth Symphony Orchestra. Mark is a member of the duo “High Plains” with Vancouver-based electronic musician Scott Morgan; they released their debut LP “CInderland” in March of 2017 on Kranky. He has been the recipient of artistic residencies at the Banff Centre and the Brush Creek Foundation for the Arts.